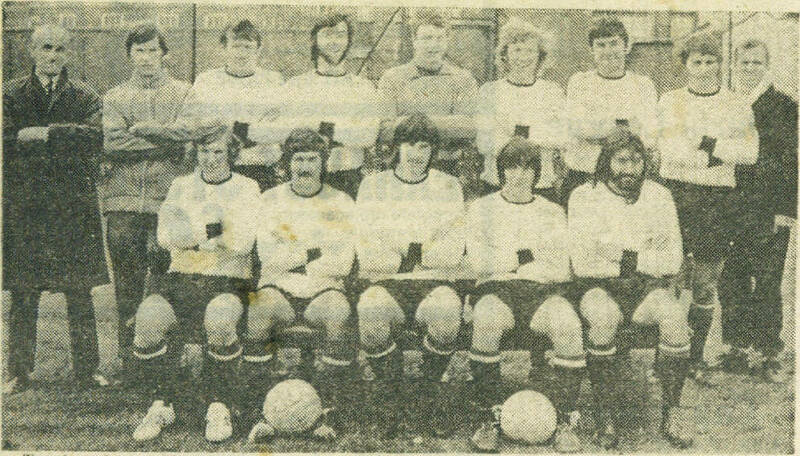 Dover Reserves 1971-72 Kent Intermediate Cup winners. Dover Reserves pictured after their 2-1 Kent Intermediate Cup final against Folkestone Reserves at Cheriton Road, on Saturday, 22nd.April, 1972. Back row (left to right): Frank Abbott(Director), Dave Moat, John Arnott, Brian Dyer, Richard Green, Bev Hubbard, Tony Parolis, Vern Mockl, Ken Lewis(Trainer). Front row (left to right): Willie Duncan, Howard Moat, Peter Kemp, Chris Hamshare, Mick Izatt.